Egyptian Nazi Party re-establishing. How is Arab Spring working out for freedom and human rights? The celebration by some in the West over the “Arab Spring” uprisings is quieting as the truth continues to reveal itself in disturbing news stories every day. Students of history are unsurprised to find the Muslim Brotherhood and other Islamo-fascists taking positions of power in the Middle East and issuing policy statements and warnings. Like the Bolsheviks rode the popular wave of rebellion against Czarist Russia to seize the government, the Muslim supremacists are doing the same in the Middle East to assume power and control. Unlike the Bolsheviks though, the Muslim supremacists do have the support of the majority throughout the Middle East. Caribbean Hotel and Tourism Conference cancelled – lack of interest! Is this a problem with the organisation behind the conference, or something that goes much deeper? Is this a backlash against Barbados for REDjet, Shanique Myrie, CARICOM movement rights, health care for immigrants and a host of other grievances? The Caribbean Hotel & Tourism Association just announced that their (ahem) “much anticipated” inaugural annual summit scheduled for June 1-3 in Barbados has been cancelled due to low registration numbers. Unmentioned in the brief press sheet are the reasons why the conference failed – or if the organizers have even started to understand what happened. Your writer is not in the tourism business, but I have some questions and observations as an ordinary Bajan. Let’s see if my thoughts are shared or disputed by those in tourism and Barbadians in general. 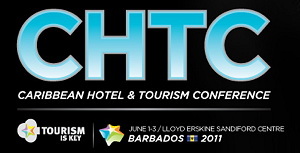 Barbados and the BHTA were heavily committed to this conference, but the conference website shows only four commercial sponsors – only two of which are major companies recognizable to your non-tourism writer (LG and MasterCard). Was this an adequate level of sponsorship interest for a conference that represented itself to be a major summit by a major organisation? Contrast the Barbados 4 commercial sponsors with the 22 sponsors of the May 10-12, 2011 Caribbean Hotel and Tourism Investment Conference held in Jamaica. Was the dearth of sponsors in Barbados a fault of the conference organizers, or fallout from a damaged economy and lower advertising budgets? Was the Barbados conference scheduled too closely to another major event? Barbados is under heavy criticism (some of it entirely justified in my opinion) from our Caribbean brothers and sisters over a variety of issues including the lack of health care for LEGAL immigrants and LEGAL visiting workers in Barbados, and the REDjet situation where the airline and the Barbados government failed to show sufficient respect to the laws and sovereignty of Jamaica and T&T. Then we come to the Shanique Myrie situation where a Jamaican visitor claims she was “finger-raped” by Barbadian authorities upon arrival, held in squalid conditions and deported the next day. Whatever the truth of her story, it doesn’t matter because the damage was done. More important, Shanique Myrie is seen by other Caribbean nationals as just another incident in a long history of similar incidents in Barbados whether reported in the news or not. Like it or not, the truth is that Barbados as a country and Barbadians as a people are increasingly seen by the rest of the Caribbean as acting arrogantly and disrespectfully in our relations with other nations and on a personal level with visitors. Remember, it doesn’t matter if this is true or not. It only matters that many other Caribbean nationals believe it is true, or at least have that impression. It would be a big mistake for Bajans and tourism organizers to assume that the failure of the Caribbean Hotel and Tourism Conference is only about the conference itself. There might be something much bigger happening that needs to be recognized and immediately addressed at all levels. Submitted by BFP reader WSD. Edited and headlined by Marcus.